Many states such as New Mexico see returns of less than 15 cents on the dollar and attract no long-term employment opportunities, yet state lawmakers continue to invest millions in the filmmaking incentives. Nearly all 50 states have lured Hollywood productions with millions of dollars in special tax incentives for filmmaking, but new USC research shows they fail to deliver the long-term economic benefits promised by industry lobbyists and lawmakers. Thom has led two studies of the motion picture industry incentives that most states have enacted on the premise that hosting productions could grow their economies, create full-time steady jobs and improve wages. The first study, published in July by the journal The American Review of Public Administration, examined the impact of the programs on states’ motion picture industry employment and wages. Thom found that the incentives had no sustained impact on wage growth and little effect on employment. The programs also failed to prompt an expansion or relocation of filmmaking businesses from concentrations in California and New York. 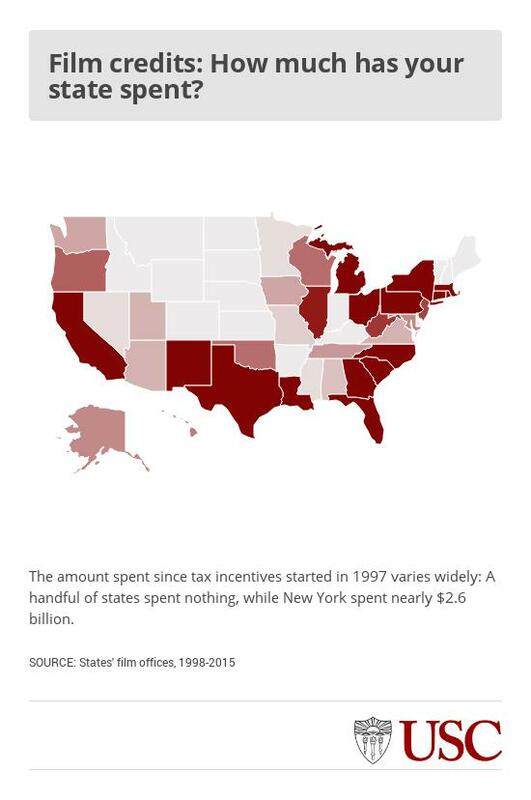 The second study, published recently by the journal American Politics Research, examined why states kept or terminated their incentives from 1999 to 2015. Thom and Ph.D. student Brian An of the USC Price School of Public Policy found a half dozen states ended the incentives as the Great Recession eased. States that slashed the incentives already had spent very little or had grown skeptical that the program wasn’t working, the researchers found. The more money that a state has invested in a program, the more entrenched the program becomes, even when the returns are small, Thom said. New Mexico, the setting for the AMC TV dramas “Breaking Bad” and “Better Call Saul,” generated just 14 cents for every dollar spent on its filmmaking incentives, Thom said, citing a prior Pew Center on the States report. Even so, the state has spent a cumulative $490 million on filmmaking incentives, Thom said. “After a state has invested tens of millions of dollars, no politician wants to acknowledge that the program is a waste of taxpayer money,” he said. From 1997 to 2015, 45 star-struck states adopted the incentives and collectively poured $10 billion into Hollywood dreams. Thirty-six have continued the credits, according to the second study. States that have not offered any major incentives to the filmmaking industry are: Delaware, Nebraska, New Hampshire, North Dakota and Vermont. In 1997, Hawaii was the first state to enact the incentives. The idea became infectious from 2005 to 2009, when 38 other states began offering similar incentives. The incentives are complicated and costly, Thom wrote in the first study, “Lights, Camera but No Action? Tax and Economic Development Lessons from State Motion Picture Incentive Programs.” States issue film productions waivers on sales tax, the hotel “bed” tax or both. They offer either an immediate waiver or a refund for in-state purchases. Incentives are also issued in the form tax credits or rebates against the productions’ in-state spending on wages and capital investments. The credits range from 15 percent to over 40 percent of qualified spending. In many cases, the credits would more than cover the production’s tax liability, so the productions end up with leftover credits. In those cases, some states may offer the productions a refund for the unused credits, or they may allow the productions to sell the remaining credits to other production companies. Government oversight of the film incentives are poor, Thom said in the first study. One of the worst examples was Iowa whose filmmaking fame has included “Field of Dreams,” “The Bridges of Madison County” and “Twister.” In 2009, a tipster informed state officials that a Los Angeles filmmaker was bragging about filing false deferments in Iowa. Investigators then discovered that the Iowa Film Office had improperly issued $25.5 million in credits to 22 film productions – all in a two-year span. The state had not required filmmakers to file receipts. The first study revealed that the economic benefits were nil or nearly nil for states that offered the incentives. From 1999 to 2013, the average annual percentage change in film production employment remained at or slightly above zero – even in California and New York, the headquarters of the entertainment industry, the study showed. Average job growth in each state’s motion picture sector was scant, Thom found. Wages increased initially, but the effect disappeared after a few years. To measure the impact of the incentives on states’ economies, Thom examined the annual percentage point change in the gross state product (GSP) from the motion picture industry. He also calculated the annual percentage change in the industry’s concentration compared to other states. “Results suggested that most of the incentives included under these programs had little to no sustained impact on employment or wage growth and that none of the incentives affected motion picture industry GSP or concentration,” Thom wrote. 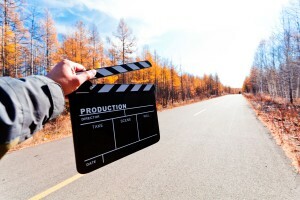 Even when jobs are added to support a film production, they are often filled by someone accompanying the production from out of state who leaves when filming stops, Thom noted. For the second study, “Fade to Black? Exploring Policy Enactment and Termination Through the Rise and Fall of State Tax Incentives for the Motion Picture Industry,” the researchers identified the main reasons that states would adopt the incentives: their unemployment rate was increasing, they noticed the incentives were increasingly popular among other states, or they saw other states were able to attract productions (perceived success). The researchers also identified key reasons that the incentives may fail: poor analyses of potential impacts and returns on investment, poor government oversight and a lack of spending limits. Some states also would out-bid each other by offering greater incentives to filmmakers than other states. The one-upmanship raises the political stakes and reduces the likelihood of program termination, the researchers noted. Finally, some state programs fail because they lack the desirable natural scenery or even the appropriate weather as backdrops for filming. More than 10 states since 2009 have ended their programs. Iowa was the first, due to its scandal. Michigan, the location of “Batman v. Superman: The Dawn of Justice,” was among the latest to end its program in 2015, largely due to political pressure. Thom said Michigan legislators were criticized for increasing filmmaking subsidies while simultaneously slashing education funds. The state funneled $510 million into film productions over the course of the seven-year program. Most of the states that terminated their programs had significantly reduced the incentives over time and had seen unemployment decrease, the researchers found. The two studies received no external funding. Thom utilized state public records for the studies. Data are approximate.